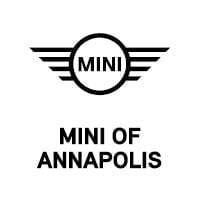 Contact BMW of Annapolis today for information on dozens of vehicles like this 2019 MINI Convertible Cooper. Soak up the sun and have some fun in this outstanding MINI Convertible convertible. The MINI Convertible Cooper will provide you with everything you have always wanted in a car -- Quality, Reliability, and Character. There is no reason why you shouldn't buy this MINI Convertible Cooper. It is incomparable for the price and quality. You've found the one you've been looking for. Your dream car. We look forward to seeing you soon! Please call us for more information. Contact BMW of Annapolis today for information on dozens of vehicles like this 2018 BMW 3 Series 330i. This BMW includes: HEATED FRONT SEATS Heated Front Seat(s) PARK DISTANCE CONTROL Rear Parking Aid CONVENIENCE PACKAGE Keyless Start HD Radio Hands-Free Liftgate Power Passenger Seat Generic Sun/Moonroof Power Driver Seat Satellite Radio Power Door Locks Keyless Entry Passenger Adjustable Lumbar Sun/Moonroof Driver Adjustable Lumbar Remote Trunk Release TRANSMISSION: SPORT AUTOMATIC (STD) 8-Speed A/T Transmission w/Dual Shift Mode A/T BLACK, SENSATEC UPHOLSTERY Premium Synthetic Seats PLATINUM SILVER METALLIC HEATED STEERING WHEEL Heated Steering Wheel APPLE CARPLAY COMPATIBILITY Smart Device Integration ACTIVE BLIND SPOT DETECTION Blind Spot Monitor NAVIGATION SYSTEM Navigation System Hard Disk Drive Media Storage MP3 Player *Note - For third party subscriptions or services, please contact the dealer for more information. * You appreciate the finer things in life, the vehicle you drive should not be the exception. Style, performance, sophistication is in a class of its own with this stunning BMW 3 Series. Why spend more money than you have to? This BMW 3 Series will help you keep the extra money you'd normally spend on gas. This BMW 3 Series is equipped with navigation, so you no longer have to wonder if you're headed in the right direction. We look forward to seeing you soon! Please call us for more information. This outstanding example of a 2019 BMW 4 Series 430i is offered by BMW of Annapolis. This BMW includes: HEATED FRONT SEATS Heated Front Seat(s) ALPINE WHITE BLACK W/RED STITCHING, SENSATEC LEATHERETTE UPHOLSTERY Premium Synthetic Seats *Note - For third party subscriptions or services, please contact the dealer for more information. * You'll see the world in a whole new light when you slip behind the wheel of this impressive 2019 BMW 4 Series convertible. You deserve a vehicle designed for higher expectations. This BMW 4 Series delivers with a luxurious, well-appointed interior and world-class engineering. Start enjoying more time in your new ride and less time at the gas station with this 2019 BMW 4 Series. We look forward to seeing you soon! Please call us for more information. BMW of Annapolis is excited to offer this 2018 BMW X5. This BMW includes: REAR MANUAL SIDE WINDOW SHADES WIRELESS CHARGING WiFi Hotspot Bluetooth Connection MP3 Player EXECUTIVE PACKAGE Daytime Running Lights Heads-Up Display M SPORT PACKAGE Lane Departure Warning Aluminum Wheels Automatic Parking Heated Steering Wheel Back-Up Camera Leather Steering Wheel Blind Spot Monitor FRONT VENTILATED SEATS Cooled Front Seat(s) Heated Front Seat(s) HEATED REAR SEATS Heated Rear Seat(s) LEATHER DASHBOARD DRIVING ASSISTANCE PLUS PACKAGE Lane Departure Warning Lane Keeping Assist Adaptive Cruise Control Cruise Control *Note - For third party subscriptions or services, please contact the dealer for more information. * Want more room? Want more style? This BMW X5 is the vehicle for you. Pull up in the vehicle and the valet will want to parked on the front row. This BMW X5 is the vehicle others dream to own. Don't miss your chance to make it your new ride. When driving an all wheel drive vehicle, such as this BMW X5 xDrive50i, superior acceleration, traction, and control come standard. We look forward to seeing you soon! Please call us for more information.